On a recent trip to Space NK (we all know how dangerous that can be!) I noticed that they had the coveted Beauty Blender by the till. I know many people love this so I decided to take the plunge and give it a go so I could let you guys know my thoughts. Note how I used my blog as an excuse to spend money.. haha! I’ve been using the Real Techniques Miracle Complexion Sponge for quite some time now and I really do love it, which is why I was so reluctant to try the Beauty Blender in the first place. Theres quite a big price difference between them too; the Beauty Blender coming in at £16 and the Real Techniques at around £6. However, for now I’m going to chat about the Beauty Blender and I’ll come back to the differences later on. You might be thinking to yourself, £16 is an outrageous amount to pay for a sponge and you’re not crazy for thinking it I can assure you. In this instance though I’m going to say its totally worth it! Theres something about applying my foundation and concealer with a sponge that I really enjoy, I find it makes everything blend into the skin much more seamlessly and you’re never left with any streaks. I also find I get a much more even coverage of makeup as bouncing it across the skin really does help distribute the product accordingly. For those who aren’t sure how these types of makeup sponge work, essentially you run them under water (both sponges mentioned double in size when wet), squeeze them out in a towel and you’re ready to go. The idea is that you bounce the sponge across your skin to blend everything in instead of dragging or wiping. I find when I use the Beauty Blender I can achieve much fuller coverage on my skin without it looking cakey or heavy, when I go fuller coverage when using a brush I find everything goes a bit streaky so this is a perfect alternative. 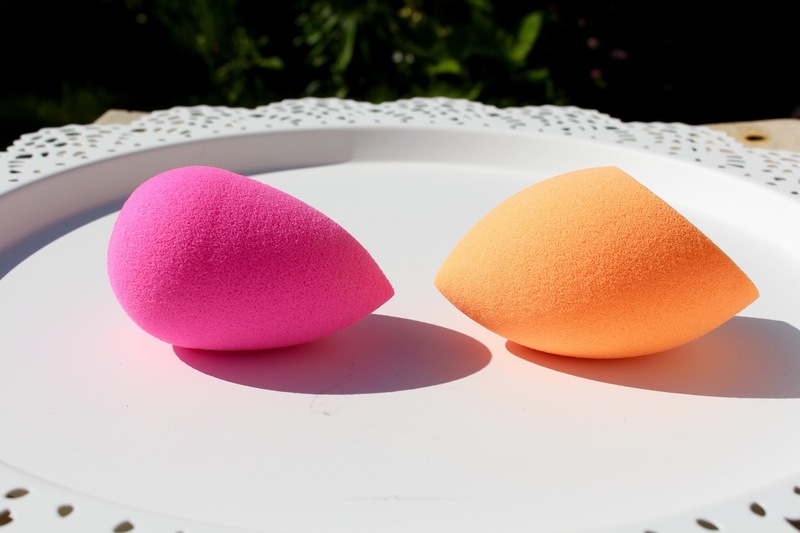 Whats swayed me from the Real Techniques Sponge to the Beauty Blender is the texture of the sponges themselves. 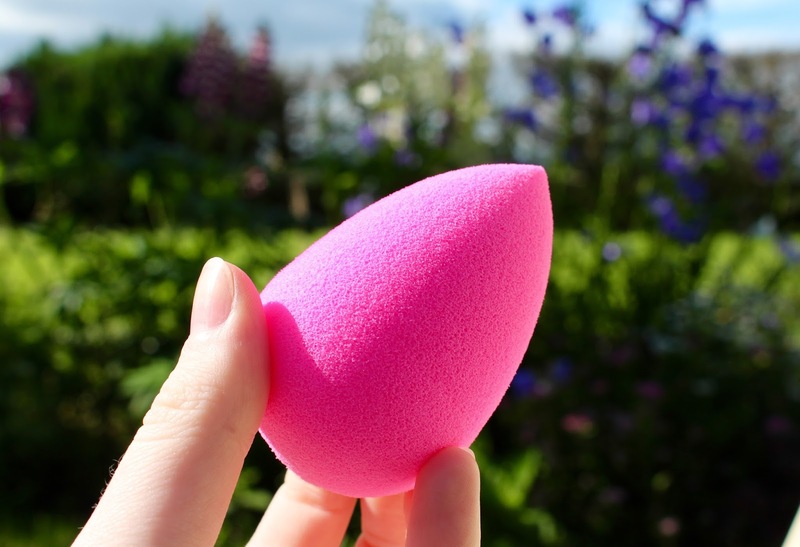 I feel like compared to the Beauty Blender, the Real Techniques sponge retains a lot more. By this I mean both water and makeup. This made me realise that when I use the RT’s sponge I’m wasting a lot of product as its being absorbed into the sponge rather than my face. I noticed this when washing them too, the BB rinses out a lot quicker and not too much product comes out of the sponge but the RT version takes a lot more effort to get it clean and a lot of makeup comes out of this sponge when you clean it. The RT sponge also feels a lot wetter on the skin when you’re applying makeup, whereas the BB just feels a little damp. 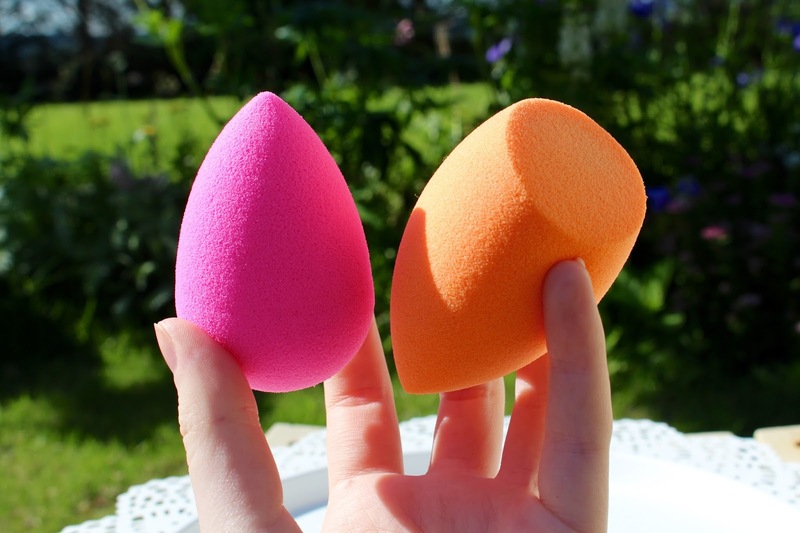 The sponges are quite different in shape too, the BB is the classic egg shape with a pointed top which is super handy for bleeding in concealer and the RT sponge is a similar shape but with a chiseled, flat side. Personally the flat side of the RT sponge has never really been something I’ve been hugely fussy about but it is a nice addition. However the rounded base of the BB blends in foundation much quicker (in my opinion). 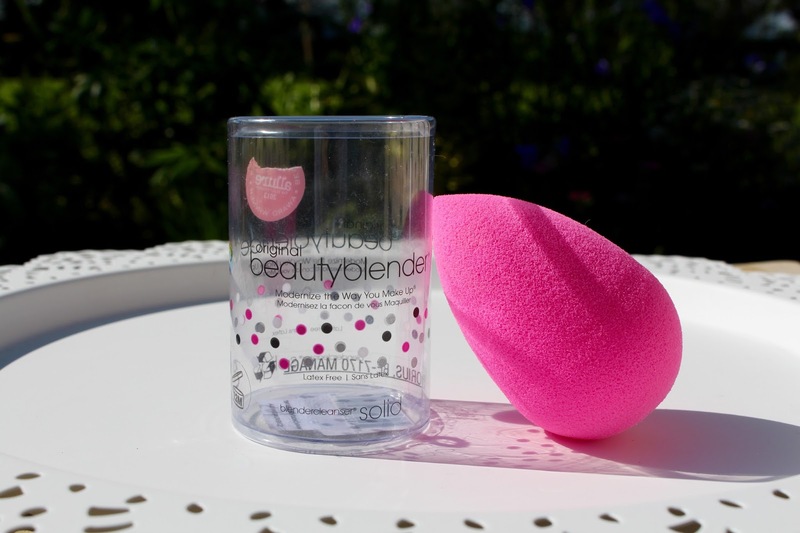 Overall I feel like the Beauty Blender is a winner, the firmer texture of the sponge and the less absorbent feel, for me, gives a much more flawless result. I love the Real Techniques Sponge, but the Beauty Blender has blown it out of the water! Both are hugely versatile for any cream or powder products, I love them both for foundation and concealer mainly and I think I will continue to use both sponges for a long time. Previous Post Current Workout Playlist + Gym Essentials! Next Post Hourglass ‘Ethereal Light’ Ambient Lighting Powder!